The HELMET circular, the outdoor lounge provides very useful filtered shade from the sun and the wind. 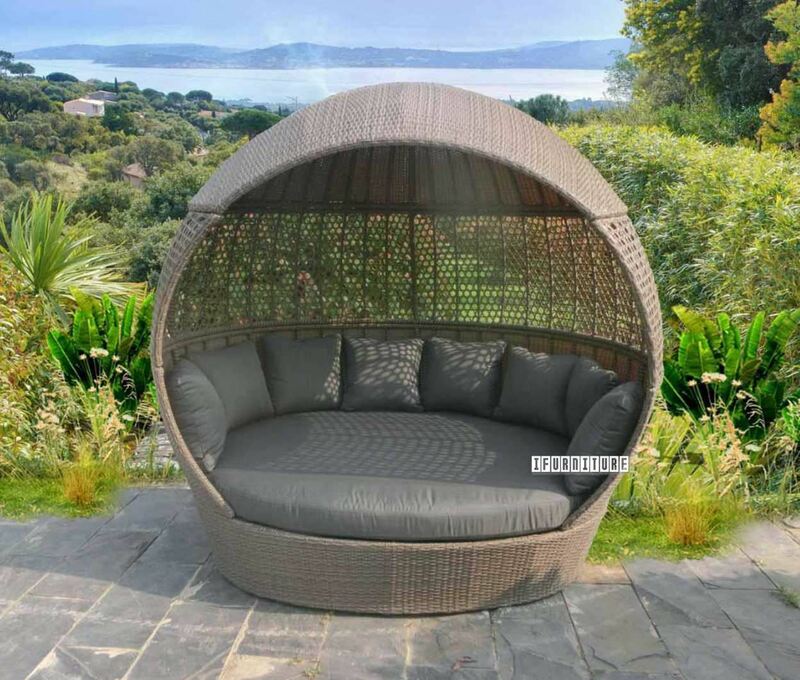 The frame is of aluminum, covered with flat synthetic rattan in an attractive grey color. The large round seat cushion has a zip-off cover, as do all the smaller ones. A wonderful garden feature. So now you can relax out of the wind, and the sun, when needed -roll on summer days! Genuine Ash veneer bedside table with 2 drawers from SOFIA bedroom collection. Quality aluminium frame modern design large 3+1 sofa set with coffee table.